Do Not Imitate Any Daddy G.O Or Bishop Blindly. The “men of God” are becoming an extensions of the Pharisees and the Sadducees ways daily, licensed with obsolete laws to be destroying many believers in Christ. That is another way of licensing criminals to be using the name of Christ on the pupilt. While you may be right, because everyone that is born again are call in to “go” but they are not to be defrauding the followers of Christ, for their frivolous lifestyle. 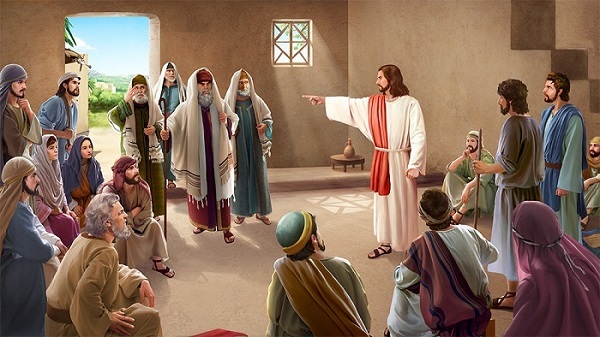 Jesus was frown at their behavior too and that was why Jesus reminded them with harsh rebuke. “Woe to you, scribes and Pharisees, hypocrites! For you pay tithe of mint and anise and cummin, and have neglected the weightier matters of the law: justice and mercy and faith. These you ought to have done, without leaving the others undone. Blind guides, who strain out a gnat and swallow a camel! “Woe to you, scribes and Pharisees, hypocrites! For you cleanse the outside of the cup and dish, but inside they are full of extortion and self-indulgence.” Matthew 23:23-25 NKJV. IT IS YOUR IMAGINATION, A MYTH AND FALLACY! “For I say to you, among those born of women there is not a greater prophet than John the Baptist; but he who is least in the kingdom of God is greater than he.” Luke 7:28 NKJV. The first question you need to verify from your “men of God” is this, Bishop who called you? “And He said to them, “The kings of the Gentiles exercise lordship over them, and those who exercise authority over them are called ‘benefactors.’ But not so among you; on the contrary, he who is greatest among you, let him be as the younger, and he who governs as he who serves. For who is greater, he who sits at the table, or he who serves? Is it not he who sits at the table? Yet I am among you as the One who serves. “But you are those who have continued with Me in My trials. And I bestow upon you a kingdom, just as My Father bestowed one upon Me, that you may eat and drink at My table in My kingdom, and sit on thrones judging the twelve tribes of Israel.” Luke 22:25-30 NKJV.